This Marfione Custom Socom Elite Manual knife features a bronzed Vegas Forge Razorwire Damascus tanto blade. 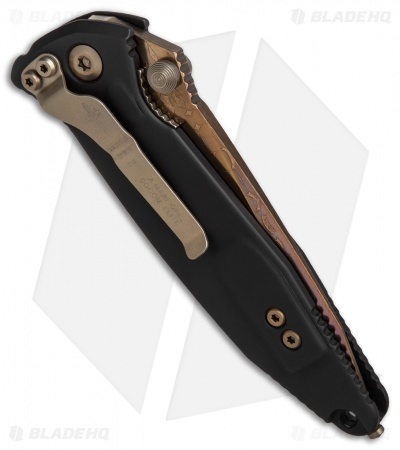 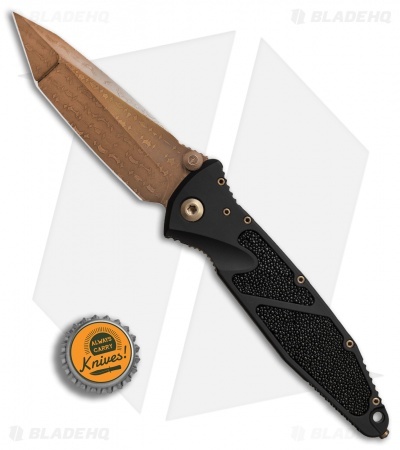 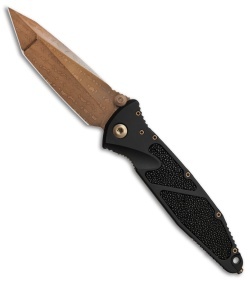 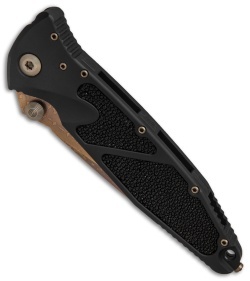 Its handle is made from lightweight Mil-Spec anodized aircraft alloy with stingray inlays and outfitted with a bronzed pocket clip, thumb studs, and hardware. Comes complete with a zipper pouch and certificate of authenticity in a Marfione Custom Knives box. 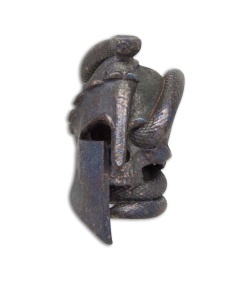 Item includes a Spartan Meadow Viper Bead.